In the video, you can really see the rainbow colors in the crystals when they move. 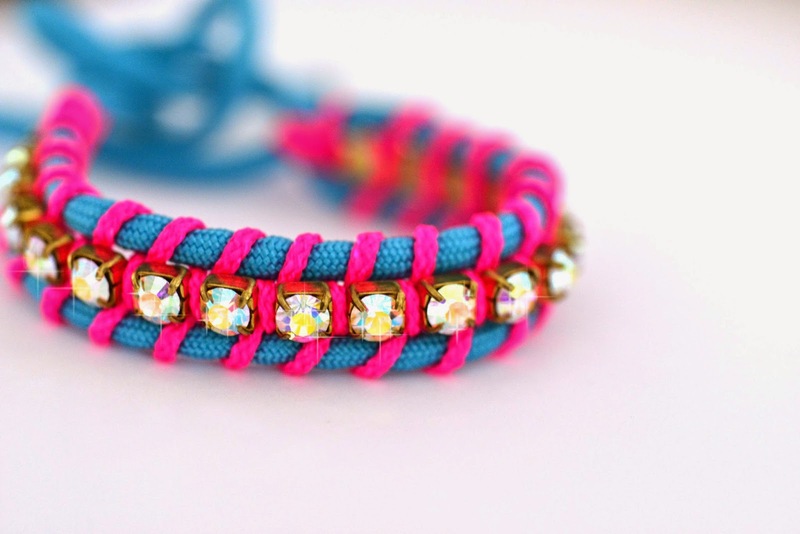 I really enjoyed making this bracelet for my friend. 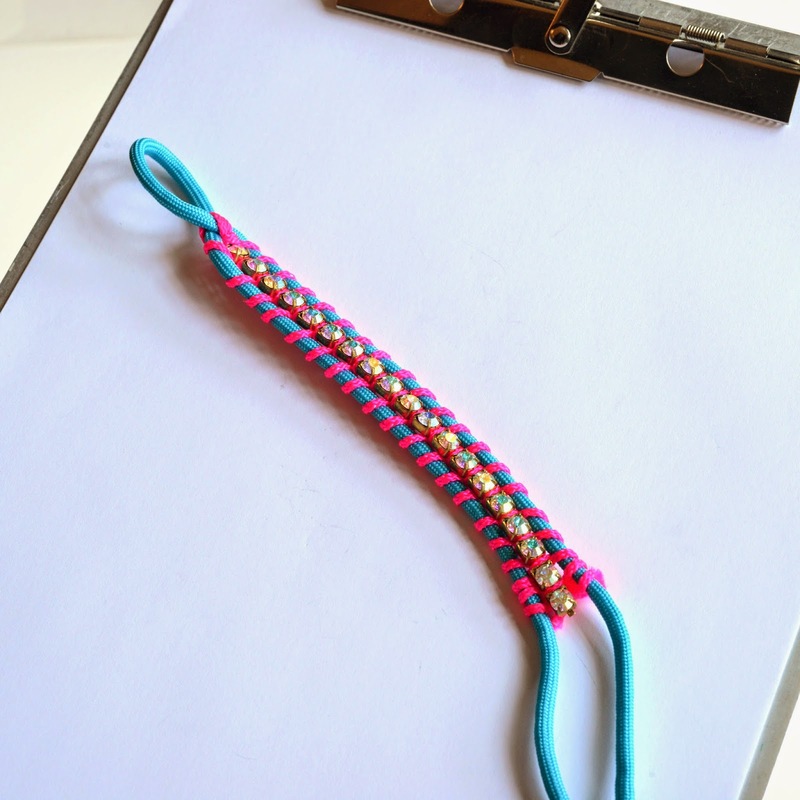 The braid is a lot easier to learn that the knotted bracelets, and the materials are a lot if fun. If you have trouble finding the cup chain at your local craft store you can get it on artbeads.com Remember that the size is SS24 and the color shown is Aurora Borealis. The Swarovski sizing scale is kind of confusing - just make sure the crystals are 5mm or similar in size. The paracord and the mason line are available on amazon. embossed wristbands helps the wearer to give out their message in a unique manner. The message is present in a raised format giving a pop-out impression. 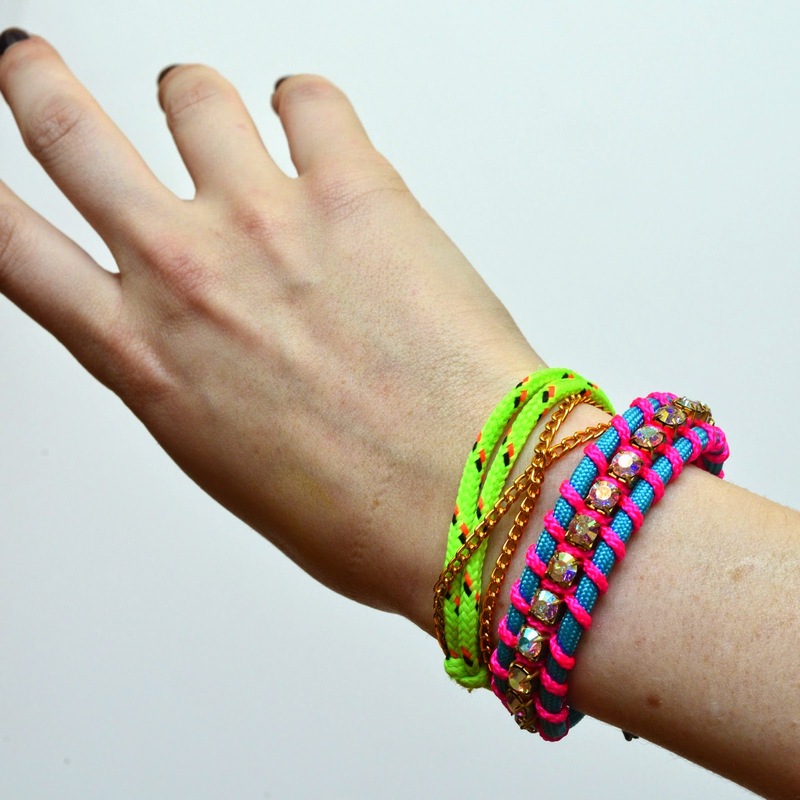 These wristbands are made up of silicone and thus are durable and comfortable to wear.